Explore the question, "What is ethical leadership?" from a holistic perspective that sheds some light on why scholars have not yet been able to agree on a single answer and definition. Linda Fisher Thornton will share a convergence of trends advancing our understanding of "good leadership" and describe the gaps in leadership development that led her to write, 7 Lenses: Learning the Principles and Practices of Ethical Leadership. Based on 25 years leading and developing leaders, 16 years teaching at the University of Richmond and 3 years of intensive research into the question "What is ethical leadership in a global society?" Thornton's work describes 7 ethical dimensions that are sometimes viewed as competing interests. Her multidimensional model is based on the expanding scope of expected ethical responsibility and provides a clear framework for talking about and teaching ethical leadership. This webinar will NOT provide ethical knowledge WITHOUT a bigger picture framework for application. It WILL give you a new set of lenses for “seeing” ethical responsibility. In addition to sharing the 7 Lenses® ethical leadership development model, Thornton will provide practical strategies for helping leaders stretch to handle the complexity of their day-to-day ethical challenges. Linda Fisher Thornton is Founder and CEO of Leading in Context LLC, a leadership development consulting firm in Virginia. Her clients appear on the Fortune 500, Global 500 and Best Places to Work. 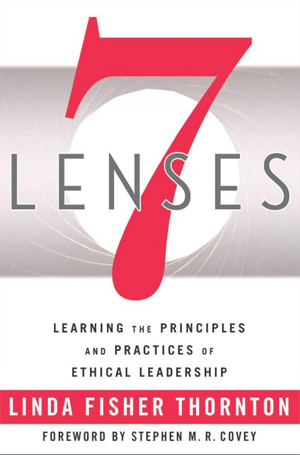 She is the author of 7 Lenses: Learning the Principles and Practices of Ethical Leadership. Thornton has been developing leaders for over 25 years and previously served as a bank Senior Vice President and Chief Learning Officer. She is Adjunct Associate Professor of Leadership and Ethics for the University of Richmond School of Professional and Continuing Studies. 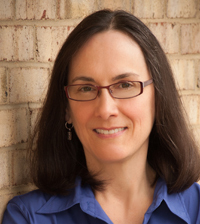 Thornton was an invited reviewer for The Millennium Project for Challenge 15: “How can ethical considerations become more routinely incorporated into global decisions?” Her work has been reported by channels including Reuters, BBC Capital, The Wall Street Journal, Forbes, The Globe and Mail, Leadership Excellence, Inc., and HR Professional. She is in Trust Across America’s 2016 Top Thought Leaders in Trust, and her writing has earned her a spot on the Top 100 Socially Shared Leadership Blogs of 2015 (CMOE). Linda blogs weekly at LeadinginContext.com and can be reached at Linda@LeadinginContext.com.